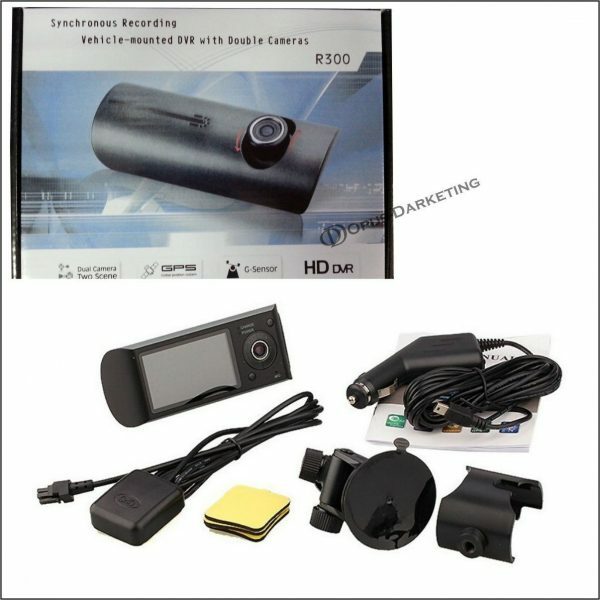 TELECAMERA PER AUTO CON FOTOCAMERA A DOPPIA LENTE CON DVR INCORPORATO (BLACK BOX) DISPLAY A COLORI. 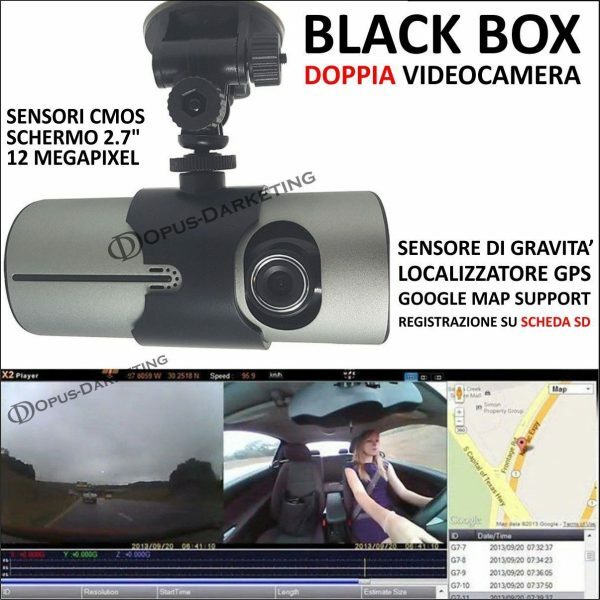 MULTIFUNZIONE: COME SCATOLA NERA REGISTRA OGNI AVVENIMENTO CHE RIGUARDI LA CONDUZIONE DI UN AUTOVEICOLO (UTILE IN CASO DI CONTESTAZIONE DI RESPONSABILITA’ A SEGUITO DI INCIDENTI). 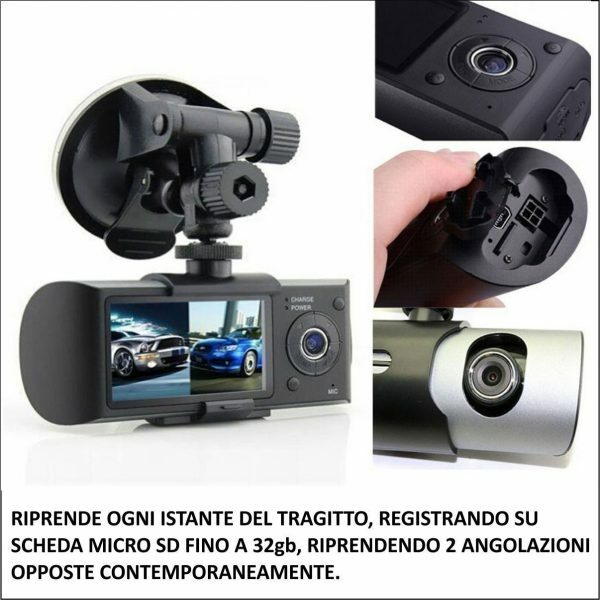 SI APPLICA SU OGNI SUPERFICIE LISCIA DELL’AUTO (CRISTALLO, CRUSCOTTO) ED E’ MUNITA DI STAND A VENTOSA. 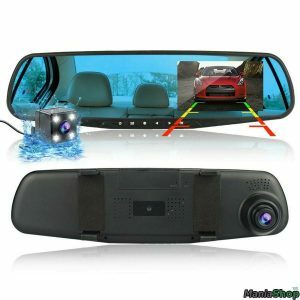 DOPPIA REGISTRAZIONE ANTERIORE E POSTERIORE.LA LENTE anteriore PUO’ ESSERE RUOTATA DI 30°, E REGISTRARE DA DIVERSE ANGOLAZIONI.E’ POSSIBILE QUINDI EFFETTUARE REGISTRAZIONI CONTEMPORANEE SIA DELL’ESTERNO DELL’AUTOMOBILE CHE DELL’INTERNO DELL’ABITACOLO. 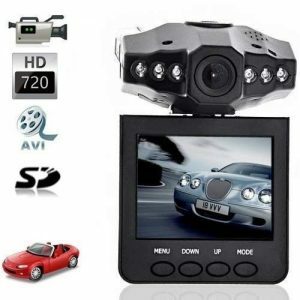 LA TELECAMERA SALVA 2 FILE DI EMERGENZA COME “FILE NON CANCELLABILI”. 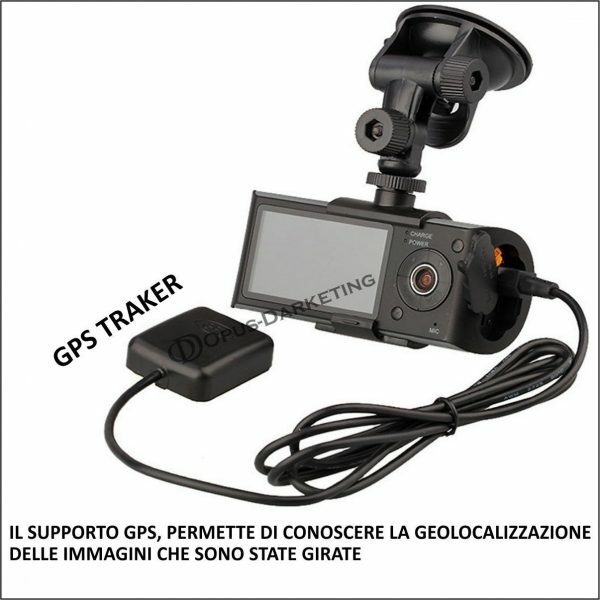 IL SUPPORTO GPS TRAKER PERMETTE DI GEO LOCALLIZARE I FILMATI REGISTRATI, MA VA INSERITA UNA SCHEDA MICRO SIM (NON INCLUSA) AL SUO INTERNO, PER ESPLETARE QUESTA FUNZIONE.BATTERIA AL LITIO, MA PUO’ ESSERE ADOPERATA ANCHE IN CORRENTE CONTINUA.REGISTRA SU SCHEDA DI MEMORIA MICRO SD (NON INCLUSA) DI MASSIMO 32 GB DI CAPIENZA. 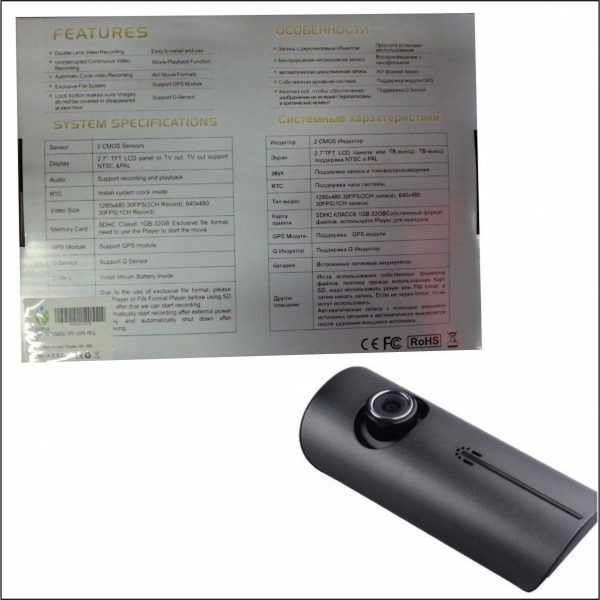 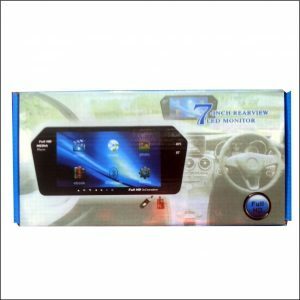 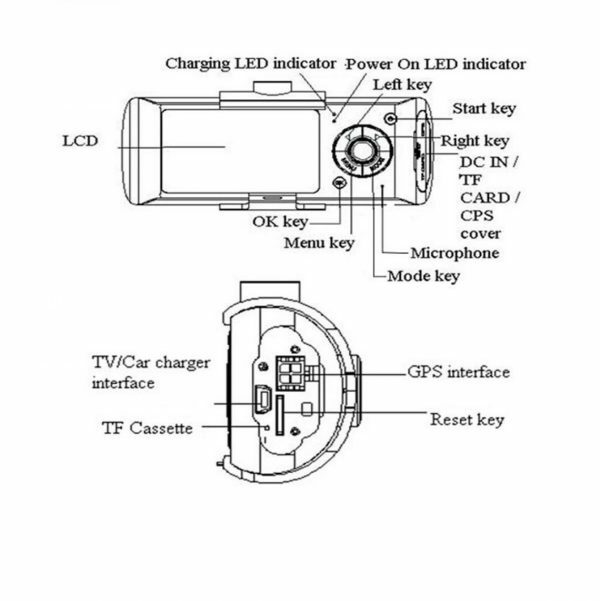 SPECIFICHE:Item Type: Car DVR Original Package: YesBrand Name: Top box Imaging Sensor: 1/4 Color Cmos Screen Ratio: 16:9 Inter face: USB2.0 Car Maker: Acura,Aston Martin,Audi,Bentley,BMW,Bugatti,Buick,Cadillac,Chevrolet,Chrysler,citroen,Daewoo,Dodge,Ferrari,Ford,GMC,Honda,Hummer,Hyundai,Infiniti,Jaguar,Jeep,Kia,Lamborghini,Land Rover,Lexus,Lincoln,Lotus,Maserati,Maybach,Mazda,Mercedes-Benz,Mercury,Mini,Nissan,Opel,peugeot,Pontiac,Porsche,Ram,renault,Rolls-Royce,Saab,Saturn,Scion,Shelby,skoda,Smart,Subaru,Suzuki,Tesla,Toyota,Volkswagen,Volvo,yamaha Memory Card Required Reding Speed: Class 10 Video Format: AVI GPS logger: Internal Number Of Lenses: 2Max External Memory: 32GOSD Language: Chinese (Simplified),Chinese (Traditional),English,Japanese,Korean,Russia,RussianTouch Screen: NoDisplay Size: 2.7″Assembly Mode: Portable Recorder Chipset Manufacturer: SQView angle: 140°Pixels: 500MegaVideo Code: H.264 Battery: Built-inSpecial Features: G-sensor,Digital Zoom,Cycle Recording,SD/MMC Card,Time&Date Display,Led Display,Bult in GPS,Dual Lens,GPS Tracker,Real Time Surveillance,Cyclic Recording,Wide Dynamic Range Frames Per Second: 30 PRODOTTO UNIVERSALE PER DISPOSITIVI PER AUTOMOBILI, ANCHE CONSIGLIATO E COMPATIBILE.